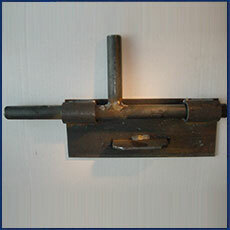 Channel Hinge with Flat Plate This adjustable cattle hinge works well with wood posts or concrete walls. Easily adjustable. Has 7/8″ diameter pin. Can be purchased with or without U Clamp. Collar Hinge Options to fit 3 1/2″, 51 1/2″, and 7″ posts. Allows you to swing your gate 360 degrees. Long-lasting and durable hing. 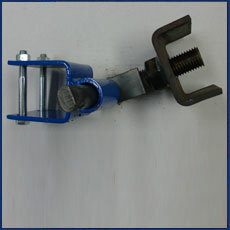 U Clamp Clamps onto either 1 1/4″, 1 1/2″, or 2″ square tubing. 1″ schedule 80 pipe fits 7/8″ diameter pin. Works in combination with all of our hinges. U with Stub 1 1/8″ pin. 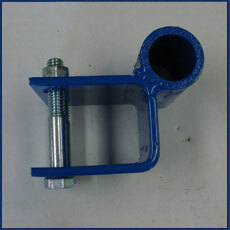 Clamps onto 1 1/4″, 1 1/2″, or 2″ square tubing. Works in combination with our Slam Lock. Offset U Clamp Allows gate to swing 180 degrees in one direction. Clamps onto either 1 1/4″, 1 1/2″, or 2″ square tubing. 1″ schedule 80 pipe fits 7/8″ diameter pin. Works in combination with all of our hinges. 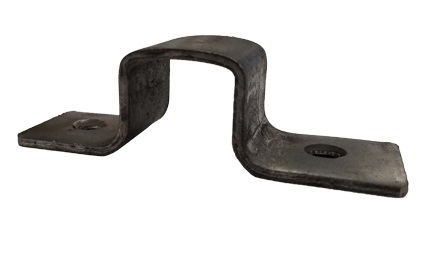 U Clamp with Hook Clamps onto either 1 1/4″, 1 1/2″, or 2″ square tubing. 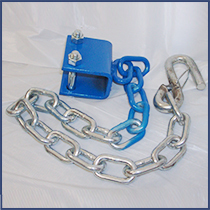 Chain is 27″ long with 1/2″ hook. Another latching option. 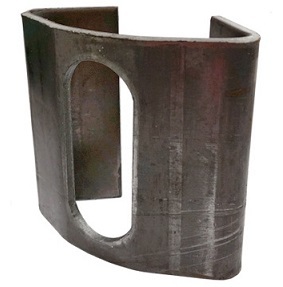 CLIP Fastens 1 1/4″ square tubing to wooden posts. 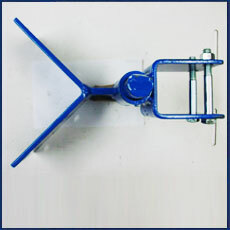 Use with continuous fencing or to turn your gate into a panel. 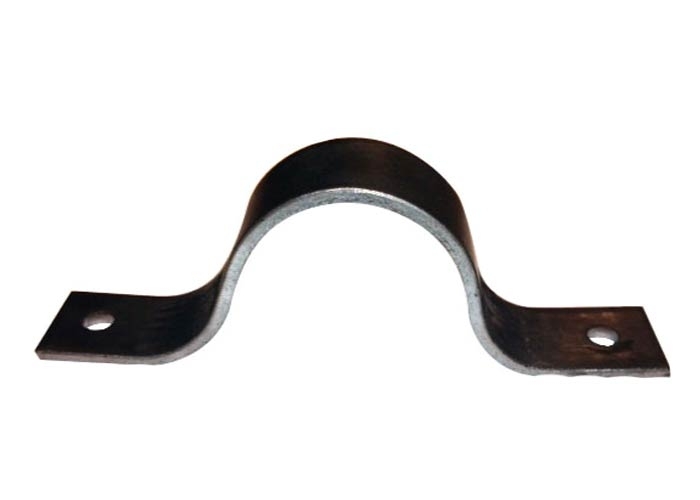 Light Duty Clip Available in 1 1/4″ or 1 1/2″. 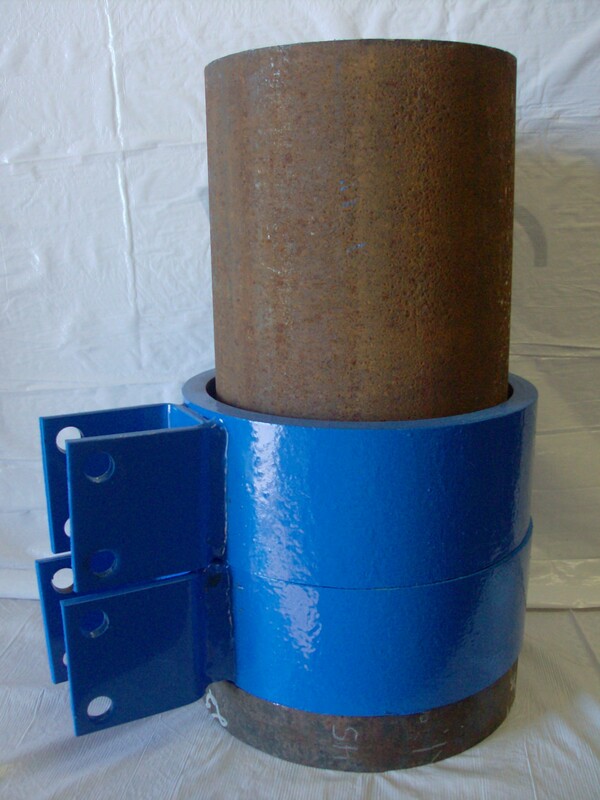 Fastens square tubing to posts. Use to hang continuous fencing or to turn your gate into a panel. 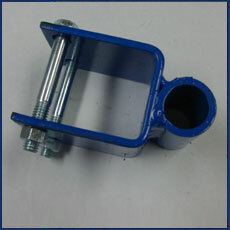 2 3/8″ Continuous Fence Clip Use to hang 2 3/8″ pipe. 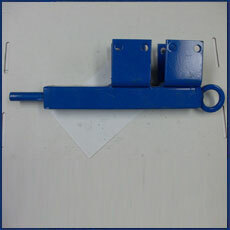 1 7/8″ Continuous Fence Clip Use to hang 1 7/8″ pipe. Chain Tie Gusset Welded onto all of our Gates. 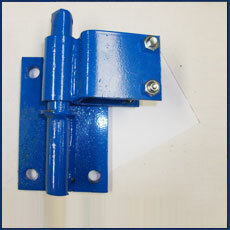 Heavy Duty Latch. 1/4″ thick. Accepts 1/4″ chain. Beveled corner allows for easy welding onto any gate. 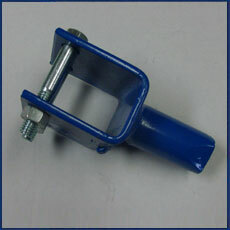 Bullet Latch with U Clamps Spring loaded latch. Available with 5/8″ diameter pin or 7/8″ diameter pin. 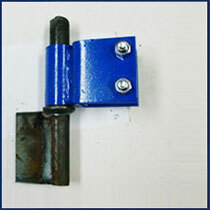 Clamps onto 1 1/4″, 1 1/2″, or 2″ square gate. 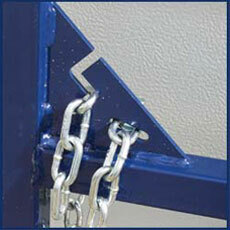 You can add a chain or rope to the loop to enhance ease of opening. 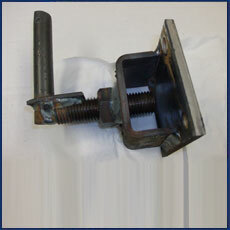 Bullet Latch Catch For 5/8″ pin only. 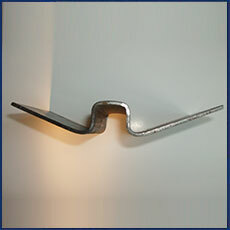 Can be bolted or welded onto any post or wall. 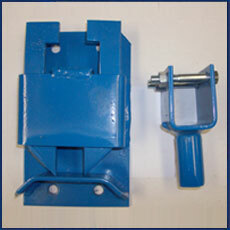 Works in conjunction with 5/8″ pin Bullet Latch. 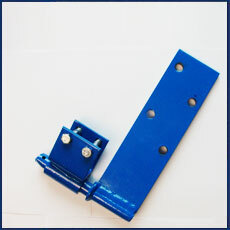 Slide Latch Heavy Duty Simplistic Latch. Welds onto any gate. Has 7/8″ pin. 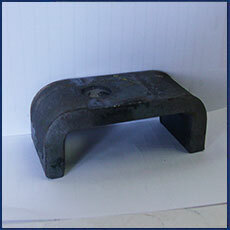 Gate Striker Plate Weld to face of steel post. 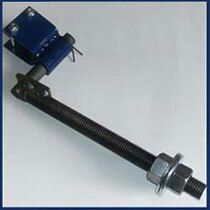 Great receiver for a variety of latches up to 1″.